I’ve completed 3 of the 6 granny squares. I also added an extra row around the outside of each so the hat will be wider. I have a big head. 🙂 So instead of being A,B,C,D my square is A,B,C,D,A and D,C,B,A,D. also, I repeated the first square instead of the second square as I liked that color combo better. Here is what my first 3 squares look like! 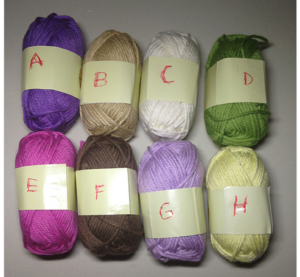 If you want to watch how I’m doing on this project, here is a link to my ravelry project page . 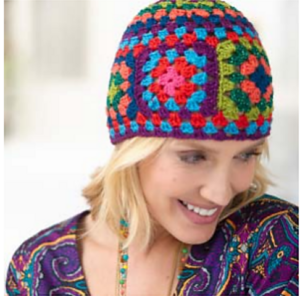 This entry was posted in knitting and tagged crochet, ravelry.